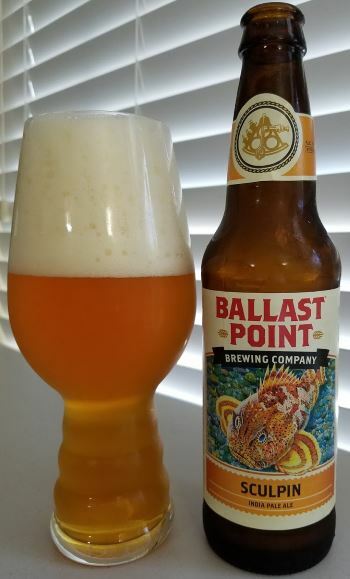 By Ballast Point Brewing Company of San Diego, Sculpin is one of the best West Coast IPAs out there. The head is sticky and hangs around, the nose is of grapefruit, honeysuckle and floral. 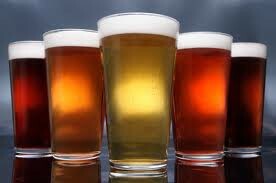 The middle is sharply hoppy with clean pine fading to grapefruit, then to apricot and lemon in the end. Mango and peach are also advertised notes in this brew, but I’m not getting them, at least not in this bottle. No matter though…It’s excellent as is. One of my all time favorites for sure. The body is medium-ish, and the alcohol is a respectable but not overpowering 7.0% ABV. This entry was posted in Reviews and tagged Ale, American IPA, Ballast Point, California, IPA, West Coast IPA on August 30, 2016 by Xander. It is October 31st, 2014, and so on this night traditionally dominated by fancy dress and confections, I find the time has come to enjoy my bomber of Stone’s Enjoy By 10.31.14 IPA. The “Enjoy By” series is an occasionally brewed Imperial IPA meant to be consumed fresh, thus the prominent date in the title. It, like any Stone IPA is massively hoppy and staggeringly good. The nose is packed with heavy citrus and pine. The middle laced with lemon, grapefruit, pine, and just a hint of grass and brown sugar. The finish is bitter and piney and gives the beer a profile that is reminiscent of Stone’s ultimate hop-bomb, Ruination. The body is fairly heavy and the alcohol is a hefty 9.4% ABV, but it’s actually quite subtle, buried under the intensity of the fresh hops. 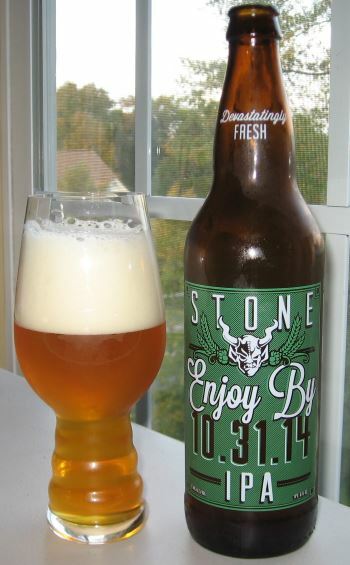 Another top-notch offering from Stone, and you should look for an Enjoy By if you like massively hoppy west-coast IPAs. 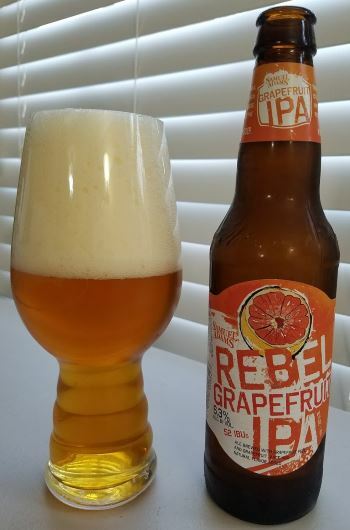 This entry was posted in Reviews and tagged California, DIPA, Imperial IPA, IPA, Stone, West Coast IPA on October 31, 2014 by Xander.